First up, there is a pre-order link on amazon already for “Kiss of the Rose’ isn’t that exciting? And even better news is that they’ve moved it up to August for release. Not much text for you this week, but a few pictures instead. I think I mentioned that I rarely see pictures of my heroes, but I did luck out and find these ones of two real-life French Rugby playing brothers, Mauro and Mirco Bergamasco who remind me of the Harcourt twins, Gervase and Gideon, from Eden’s Pleasure and Antonia’s Bargain. And in case you are wondering where on earth I got those pictures, they are both from the official French Rugby calender, Dieux De Stade-Gods of the Stadium. 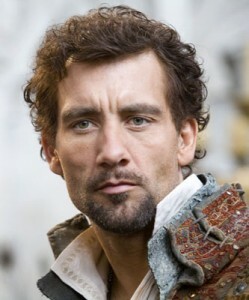 “The Tudors” on Showtime were quite helpful. Can I have one of each please??? 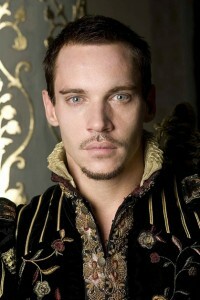 I am adding the Tudors to my netflix list ASAP!!! Whew…. i need a minute…. If any of y’all would like copies of the DDS “making of videos” for your PC – so you can watch ’em, you know, whenever – just let me know. Wow… I’m not much for Frenchmen but those Rugby players are HAWT!!!! Brothers you say. Whew… are you sure??? My fantasies are running WAY wild there with those two. I think this post should come with a warning! Did you know I write mysteries under the pen name Catherine Lloyd? My Kurland St. Mary series explores romance and mystery in Regency-era England. Visit my Catherine Lloyd website to learn more, and sign up for my mailing list for advance notice of new releases. Books 1 through 4 in the Kurland St. Mary series are available now. I’m taking my writing in a new direction with a contemporary Western-themed series focusing on three cowboy brothers returning home to save the family ranch! Visit my new Morgan Ranch website to explore Morgantown and get to know the hard-riding, hard-loving cowboys who inhabit the land. Reviews help readers decide whether to try a new book or author. Are you a fan who would like to receive advance reader copies (ARC) of my new books before they are published? In exchange, ARC reviewers are expected to post honest reviews on Amazon, Goodreads, Barnes & Noble, or your favorite e-book retail site. Want to be the first to know about deals on bestselling romance books, including mine? Follow me on BookBub to receive a free daily email full of deep discounts on ebooks. It’s free to join, and the books are yours to own!